Easy secrets to whiter teeth and fresher breath for your best smile ever! ← Oral Irrigation versus Flossing? What my Dad losing all his teeth taught me. 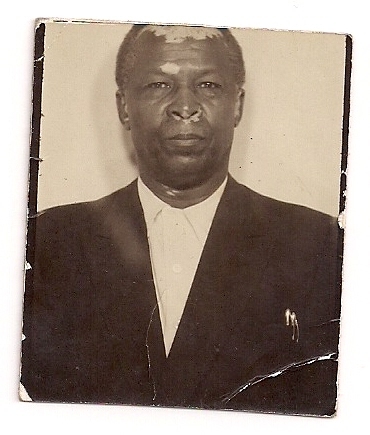 My Dad was born in 1892 — his father was born in the 1830’s, which means I’m one generation away from a black man who was alive in the United States during slavery. I’m noting this because those origins dictated that my father had to learn to use the tools at hand and to make things from scratch as an everyday way of life. Mainly because most of American history is built on farm people making a way from no way, but especially because for a long time, African Americans had few, if any other options. Part of making do was being your own dentist. My Dad never used these words, but he had periodontal disease which affected his gums. Despite being a religious once-a-day tooth brusher, the trials he experienced with his teeth were devastating and likely had something to do with his advancing age and a lifetime without flossing and regular checkups and cleanings. Still not bad, I suppose, for a man in his 70’s who only ever used baking soda for toothpaste. My Dad would routinely pull a “bad” tooth with a pair of pliers, and then pack the wound with cotton gauze soaked in hydrogen peroxide. As a kid, I was horrified by this process, particularly by the blood and the condition of the teeth he would pull … discolored with the root still attached. It was then that I began my unconscious quest not to suffer my Dad’s fate, and I began to take really good care of my teeth. Fortunately, my parents made sure that we saw the dentist every other year. They also incorporated fluoride toothpaste in our household, “for the kids” … my Dad never used it. And the refrain each night, “did you brush your teeth,” was often among the last words I heard each day. As the years passed and I and my siblings fulfilled my parents’ dreams and did well in school and in our adult lives, I was conscientious about having my teeth checked each year. I did not, however, have a lot of discretionary income starting out. So making do with the tools at hand became my mantra — wonder where that came from, right? My hope today is to give everyone who could use the help a fighting chance at good periodontal health, whiter teeth and fresher breath — without spending a lot of extra money that many of us don’t have. My early influences to have good oral hygiene centered on avoiding tooth pain and the serious complications that can come from poor dental health. Having good looking teeth in the process, was at first an unintended plus. Today, I not only focus on the health and beauty benefits of healthy teeth, I am also grateful for the positive effects that smiling has on my day-to-day life. Who knew that having healthy teeth would actually be good for the soul? Speaking of the soul, something I learned from making do is that one way to turn the ordinary into the extraordinary is through ritual. The Smile Routine is a set of simple and easy rituals that help me to have healthier teeth, fresher breath, and a nicer smile. The Smile Routine stands for gratitude for me on so many levels — family, health, beauty, and positive spirit. Thank you so much for joining me on this journey of good dental health and a better smile. Thanks for sharing a smile. Is laughter the best medicine for relationships? 3-Smiling men less attractive to women? Does smiling make you happy? Katie Couric says "Watch Your Mouth"! Wait 30 minutes to brush your teeth following meals? What is periodontal gum disease?